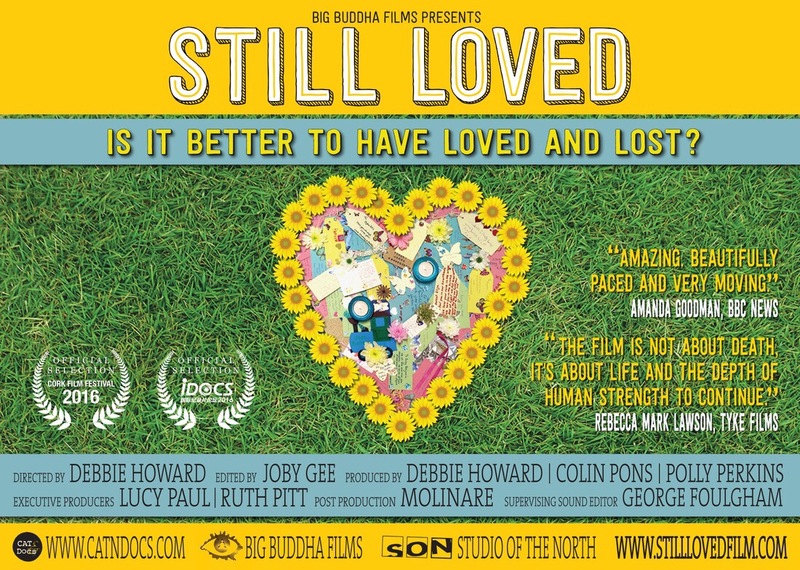 Last night we travelled home to see Still Loved at the cinema. If you haven’t heard much about this film, it’s a documentary on how a group of families have coped with life after stillbirth, and the various issues that interweave such a loss. It’s been crowdfunded and a passion project of the director for several years. They’ve struggled to get funding or get it shown in cinemas and on television : who would want to see a film about stillbirth, after all? Except we do. And there is an audience for it. And that audience could, and should, quite easily filter to the mainstream. Film is a brilliant way to explore different aspects of the world, to educate and inform, to learn empathy for a situation you have not been in, to tackle sociological and political issues. We see many films have great success either in the mainstream or in the indie cinema world that tackle hard hitting, emotional and sometimes uncomfortable issues. It sends quite a message to those affected by Baby Loss that organisations that aren’t afraid to tackle the hard hitting topics in this world, are too afraid to talk about something that affects 3,500 families a year in the UK alone. It time people started facing their fears, head on, and realising that people who experience stillbirth are full of love and pride for their children, they are a passionate force, and whilst we have been through ‘the worst’, we survive in the face of it all. I was quite surprised that I didn’t find the film as emotional as I expected. That’s not a reflection of the film, but more a deep realisation that this is our lives and we are somewhat desensitised to hearing about people’s experiences. I think one of the biggest misunderstandings with stillbirth on a whole, is that it isn’t just one event – there are so many different reasons and experiences that lead to people being without their much loved babies, and whilst our loss binds us, we are all different. The film can’t show it all, but it really did begin to show a range of experiences and to start a dialogue about it. From preterm labour, to babies dying before, during and after birth, to medical negilence and everything in between. These are valid issues that need discussing, and you could make a documentary on them all, individually. There are so many layers to Baby Loss – it isn’t a one size, fits some sort of thing. The film, whilst tough I’m sure for many, equally documents the hope and surivial of people who walk this journey. Someway or another, people adapt to this life, in their own way and in their own time. It is a film that should be watched by many, because it is a life that many many people lead, and to continue the dialogue about Baby Loss far beyond Baby Loss Awareness Week, people need to tackle their understanding and fears of the subject. It’s also crucial for health care professionals to tackle this subject, whether directly involved in maternity services or not. The soaps have documented stillbirth and miscarriage recently which is brilliant to see – yet those same channels will not entertain showing the reality of those topics. Media has a strong role to play in breaking taboos and raising awareness. We are led by the stories shown to us on the television, and how the media chooses to portray them. They have a reponsibilty to uphold on a lot of issues as a result. By bringing this film into our homes, they will enable a significant step forward in the fight to improve understanding for those affected by Baby Loss – and ignite a dialogue in terms of care, prevention and support. This film is one aspect of a larger package. But film is a powerful way to start or reignite dialogue, and bring that dialogue into living rooms. Please do consider going to see this film regardless of whether you have been personally affected by Baby Loss. I promise it is not as scary as you probably think – it’s informative, emotive, and engaging. And please also consider signing this petition to get the film shown on the BBC. I hope this comes to the U.S. Thank you for the recommendation. We went to see this in Belfast. Shocking the BBC let them down when you think of all the harrowing content on TV every day! Hope the petition works!